Our range of products include camping tiffin, colored canister, colored storage bowl set, pawali with cover, ss storage box with cover and stainless steel canisters. 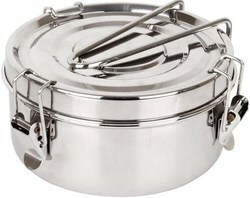 Backed with rich experience and knowledge in this sector, we are considered to be one of the most professional manufacturers and exporters of Camping Tiffin. Backed with rich experience and knowledge in this sector, we are considered to be one of the most professional manufacturers and exporters of Colored Canister. 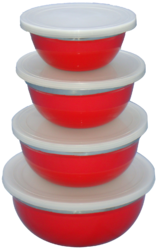 Backed with rich experience and knowledge in this sector, we are considered to be one of the most professional manufacturers and exporters of Colored Storage Bowl Set. Backed with rich experience and knowledge in this sector, we are considered to be one of the most professional manufacturers and exporters of Pawali with Cover. Owing to the expertise of our team of experienced professionals, we are able to manufacture and supply an exclusive range of SS Storage Box with Cover. 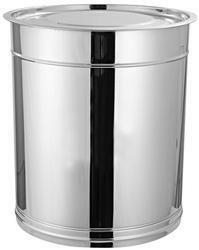 Owing to the expertise of our team of experienced professionals, we are able to manufacture and supply an exclusive range of Stainless Steel Canisters. Packaging Details: As per customer requirements. Packed in Brown Carton Box. EACH PIECE IN A POLYBAG AND MULTIPLE PIECES PACKED IN A CARTON. Backed with rich experience and knowledge in this sector, we are considered to be one of the most professional manufacturers and exporters of Steel Puri Dabba. Backed with rich experience and knowledge in this sector, we are considered to be one of the most professional manufacturers and exporters of Triangular Lunch Box with Cover. 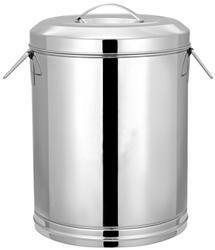 We are an eminent name, which is engaged in delivering Steel Tiffin Box. The demand for these is growing at an increasing rate and these have been constructed from a high quality raw material. Packaging Details: As per as customer requirements. Packed in Brown Carton Box. EACH PIECE IN A POLYBAG AND MULTIPLE PIECES PACKED IN A CARTON. 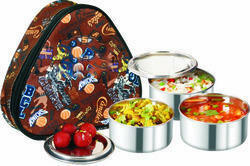 Looking for Storage & Tiffin ?